The most significant tourism cities in the world together churned out more than $625 billion contribution to GDP in 2017, a new study report unveils. The World Travel & Tourism Council report covers 72 cities, with Shanghai leading in terms of the size of tourism market at $35 billion, head of Beijing ($32.5 billion), Paris ($28 billion), Orlando ($24.8 billion), New York ($24.8 billion), Tokyo ($21.7 billion), Bangkok ($21.3 billion), Mexico City ($19.7 billion), Las Vegas ($19.5 billion) and Shenzhen ($19 billion). The top ten cities of the world regarding job creation are Jakarta, Beijing, Mexico City, Shanghai, Bangkok, Chongqing, Delhi, Mumbai, Ho Chi Minh City, Shenzhen. 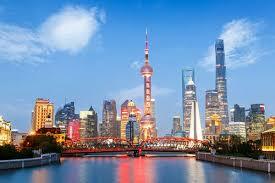 Four of the five rapid growing cities in the last ten years are based in China – Chongqing, Chengdu, Shanghai, Guangzhou. Chinese cities have matured quite fast in the past decade, and are predicted to continue dominating the growth charts until 2027. Shanghai went from being the eighth largest city related to travel and tourism GDP in 2007 to turn out to be the largest a decade after – a position it is expected to maintain until 2027. The major growth of Guangzhou will take it to fourth place and Chongqing is considered to join the top 15 for the first time. This comes following a period of sustained infrastructure development, comprising investments in airports and extensive product development, according to the WTTC.